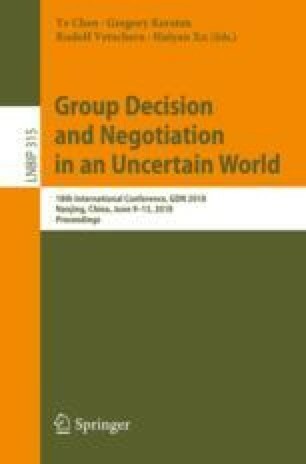 This paper analyzes the agents’ predisposition to produce round numbers during preference elicitation of the pre-negotiation phase. The agents negotiate on behalf of their principals and are asked to use information presented in terms of bar graphs and text to provide their principals’ preferences numerically. In doing that, they tend to use round numbers more often than sharp numbers. Also, more agents use round numbers than sharp numbers, however, the majority of agents use a mix of numbers. The results show that the increased use of round numbers results in greater inaccuracy; the most accurate are agents who use a mix or round and sharp numbers. This research was supported with the grants from Polish National Science Centre (2016/21/B/HS4/01583) and from the Natural Sciences and Engineering Canada.